Helo (UK) installed it's largest ever project at the Rudding Park Hotel, Harrogate. 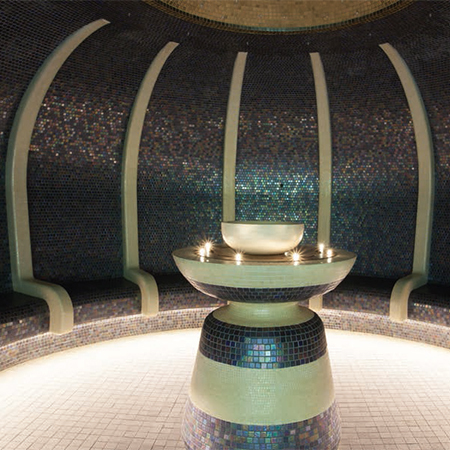 The project was also the winner of the spa of the year award 2017 and was the largest spa project in the UK 2016/2017. 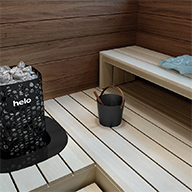 Helo installed thermal rooms, pools and plant over three levels. 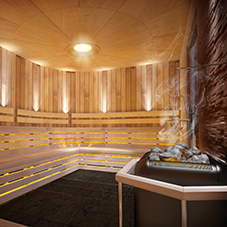 Lap pool, hydro pool, roof top spa, Rasul, Pool side sauna, Panoramic sauna, Luxury steam room, three feature showers, foot spas and heated benches, ice fountain and herbal bath. 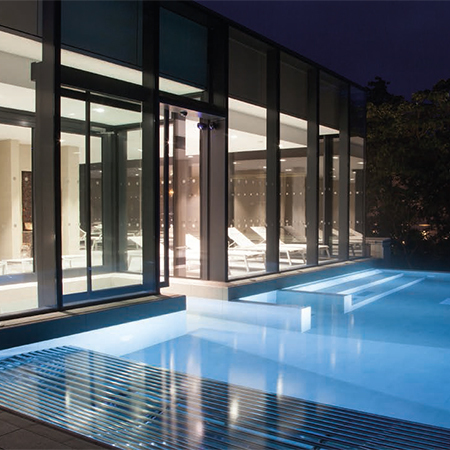 The 16.8m lap pool is for gentle lane swimming and relaxation with plenty of loungers around the perimeter. Finnish edge detail on three sides with easy access steps either end. 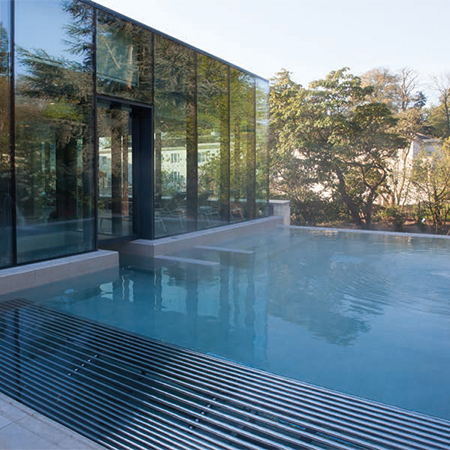 The 10.6m hydro pool is accessed from steps within the health suite and leads to an outdoor pool heated to 35C, with vanishing horizon edge detail to two sides over looking the hotel gardens. A beautiful large sauna enjoying views out to the hotel gardens. Two 21kw Helo Saga heaters with 400 kilos of rock. 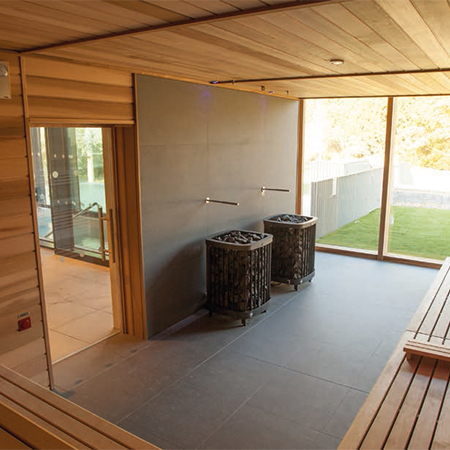 A blend of alder timber panels fitted horizontally to focus on the view and heaters. 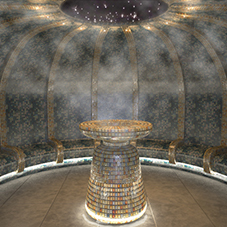 The steam room features a domed ceiling. Steam, fresh air and aromas fill the room from the central steam column. Fibre optic lighting with crystal ends are fitted in the ceiling and around the steam column. LED strip lights are fitted into the seat riser. Background heating to all seats for added comfort. 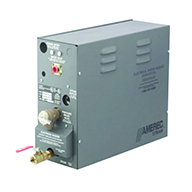 An array of electrical panels provide control, monitoring, precision for each pool or spa. At a glance the operator can see the performance of the filtration system and which water feature is selected. The state of the art Ultra violet or U.V system is a highly effective disinfectant of the spa and pool waters. It is an environmentally friendly and economic process of providing safe, clear water.